Collector's item, landmark in the history of the tour guide, snapshot of Britain in the 1860s - Bradshaw's Handbook deserves a place on the bookshelf of any traveller, railway enthusiast, historian or anglophile. Produced as the British railway network was reaching its zenith, and as tourism by rail became a serious pastime for the better off, it was the first national tourist guide specifically organized around railway journeys, and to this day offers a glimpse through the carriage window at a Britain long past. 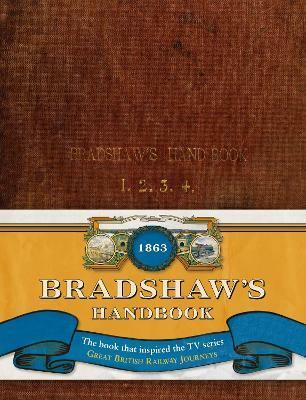 This is a facsimile of the actual book - often referred to as 'Bradshaw's Guide' - that inspired the 'Great British Railway Journeys' television series, possibly the only surviving example of the 1863 edition. It is an exact copy with a removable belly-band.